But this ignores the reason why humanity is so loathe to wean itself off these fuels in the first place. They are exceptionally potent energy sources which greatly increase our ability to change our human infrastructure and shape the world around us. Energy is perhaps best defined as the ability to do work, and there is much work to be done in the transition to a low-carbon way of life. Imagine that we simply immediately ceased the extraction of fossil fuels – as the climate change imperative might appear to demand. We would see unbelievable human suffering as the lifeblood of our fossil fuel based societies dried up. Our critical infrastructure for food supply, transportation, heating, irrigation, electricity and so on would all fail catastrophically. So there is clearly a tension between addressing climate change and addressing peak oil. The earlier we reach fossil fuel supply limits – whether geological or voluntary – the better for climate change, but the more painful the ‘peak oil’ adaptation problems, and the higher the oil price. 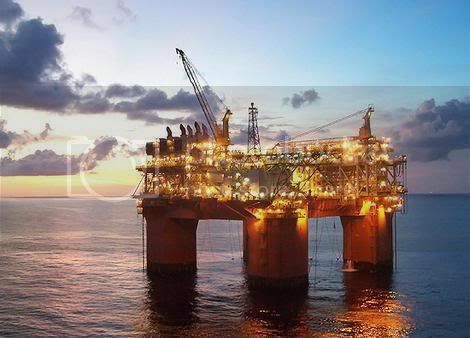 As supply limitations prompt oil price rises, more and more countries (and ultimately individuals) are priced out of the market, leaving only those with enough money able to get the oil their lifestyles demand. Economists call this ‘demand destruction’, and it is the mechanism the market uses to close the widening gap between supply and demand. Unfortunately, markets do not distinguish between more and less essential uses of oil – if we in the UK are willing and able to pay more to run our cars than people elsewhere are able to pay to heat their homes or power their hospitals then the limited supply of oil will flow here. Demand destruction can be very cruel or even fatal for those whose demand is ‘destroyed’. “Recent oil price increases have had devastating effects on many of the world’s poor countries, some of which now spend as much as six times as much on fuel as they do on health. Others spend twice the money on fuel as they do on poverty alleviation. And in still others, the foreign exchange drain from higher oil prices is five times the gain from recent debt relief. The more limited the supply the more demand destruction is necessary and the higher the price goes. $140 per barrel means many are simply having to go without altogether. The international oil price, then, is effectively a rough measure of how much of this cruel demand destruction is going on. The question of whether we should leave some of the available fossil fuels in the ground, then, in reality becomes a question of whether the effects of increased oil demand destruction are more or less desirable than the effects of increased emissions and the resultant climate change. This is what we might call the ‘supply side dilemma’ – attempting to choose the lesser of two evils. Not much of a choice some might say, and it is easy to see why there are passionate advocates on both sides of the debate. But if we campaign on climate change without any acknowledgement of this tension we are easily (and probably correctly) dismissed as naively advocating the suffering and deaths of hundreds of millions of people. Not to mention giving those people a heck of an incentive to harness any fuels they can get their hands on – which may be even more polluting or carbon-intensive than oil. Thankfully though, there are things we can do to ameliorate both climate change and peak oil simultaneously. If we begin to wean our communities off their oil addiction voluntarily then we reduce demand, and thus reduce the need for the more painful varieties of demand destruction. We lessen the desperation for increased oil supplies and so make it easier to consider the necessary step of leaving some of it where it is as a response to climate change. The more ways we can find to reduce demand, the less difficult the global supply side dilemma becomes. It is these win-win solutions that climate change campaigners should be fighting for, and in fact they might well find that peak oil helps their cause. Try as we might to ignore peak oil, the stark reality is that the world will be getting by on around half its current level of oil production in 20 years time. And like it or not, some who are unmoved by moral arguments on climate change become rather proactive when they recognise the reality of such a severe impending threat to their way of life. Activists on peak oil and climate change should be indistinguishable – it really is one problem, and we all need to be working together to ensure that the motivation it generates is channelled in the most constructive directions. Edit – One important economic wrinkle that I missed when I drafted this piece. As oil depletion continues it is taking more workers/resources to produce a given amount of oil (because the easy to extract stuff is gone). In other words, productivity – output per hour worked – is dropping. In such an environment workers’ wages are likely to remain stagnant, or even decline, while the cost of many commodities rises. This is a recipe for reduced growth, or even recession, and workers who cannot afford new homes, cars etc. This in turn reduces demand for oil (since it is used to both produce and run homes, cars etc), which reduces the oil price. In other words, the recipe that oil depletion leads to shortage of supply leads to rising oil prices was too simple. 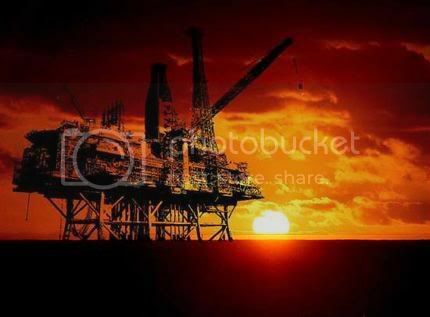 In fact, oil depletion leads to economic contraction and volatile prices which are sometimes very low. And indeed, these low prices at a time when oil extraction is becoming more expensive are killing much oil production. For more on this see Gail Tverberg’s article or interview. This wrinkle only increases our peak oil problem, and thus makes the climate change challenge even more difficult. And it brings home that – as per my 2009 book – what we face here is an energy/emissions problem, not a money problem, and we need to learn to think in those terms. Otherwise we will sit around waiting for a signal from the markets – to tell us that radical action should have begun many years ago. The challenge is getting people to do something, and in that regard, intellectual discussions about peak oil vs climate change are luxuries we can’t afford. It’s quite simple in my mind. Acting (now) in response to climate change requires the individual to be a long-term thinker and altruistic. Humans are short of this type right now. On the other hand, people acting (now) in response to peak oil need only be short term thinkers and selfish. PO + CC = more than the sum of its parts. I agree with just about all of this, and also with Ben’s comment above. Just one key thing I think Shaun missed from the article is that we have an urgent “cash-flow” crisis of energy (aka peak oil) which threatens to put us in the position that we no longer have the energy (and iron, copper etc etc) to spare with which to make prudent investments in sustainable tech. For that reason especially I think we need to prioritise the conservation of ALL energy and minerals, quite apart from and above the GW perspective. RobinPC, I absolutely agree that we face an energy flow problem, and the inclusion of an EROEI analysis makes the window of energy opportunity you identify even smaller. Not sure why it is ‘apart from and above’ the GW imperative though – seems to me they both point very much in the same direction, but maybe that is what you meant by this. Interestingly, there is an important distinction here that is not widely recognised. While climate change is essentially a problem of ultimate total emissions (the difference in impacts based on when emissions take place is minimal) peak oil is essentially a problem of flow rates, not ultimate reserves (as tar sands advocates should be regularly reminded). Europe’s largest new coal-fired power station at Fawley in Hants, was blocked by a well-concerted local action) I share your concern at the myopia of many climate campaigners. “Treaty of the Atmospheric Commons”, whereby all nations’ tradable GHG emission rights may be agreed to converge, over time, to per capita parity, thus allowing agreement of the annually contracting global emissions budget to limit warming to less than 2ºC? others to buy at a marginally reduced price) and on pushing those high tech options (Prius ?) that some wealthy westerners just might afford (but which are simply irrelevant to the developing billions in the global south) and on advocating energy efficiency, with its venerable damnation known as Jevons Paradox ? renowned Fritz Schumacher back in ’72 and became (much later, for a while) a Senior Moderator at Peak Oil dot com, and that strategic myopia seems no less common amongst avid “peaknics”. For instance, the idea that peaking oil benefits the climate campaign seems almost as common as it is groundless, particularly in view of the rise of agri-biofuels, tar-sands, oil shales, coal, CTL and nuclear hype, since oil left the comfort zone below $30/bbl. 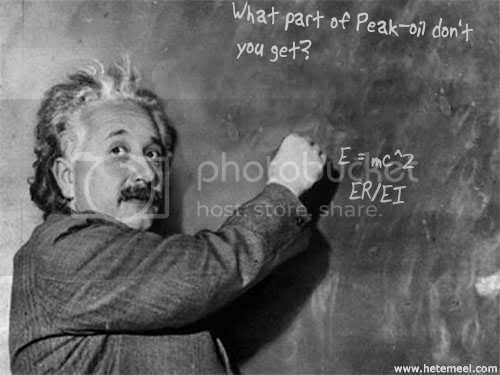 Furthermore, it is sadly rare to read of the perception that peak oil is in reality geographic both in national sequence and date — in that various nations are well past their peak supply already — (e.g. Marshall Is. have just declared a state of emergency over now-unaffordable fuel and food imports). Notably, the current impacts and looming threats of climate change are intensifying apace (we’ve just had unprecedented rains that have even torn the turf and soil from hillsides, exposing patches of more than an acre of useless & vulnerable subsoil & stones) indicating that this is already an immediate rather than simply a long term issue. Also, the requisite mutual welfare sought in agreeing mitigation via the mutual restraint of pollution is neither predictably selfish nor predictably altruistic, any more than is the mutual welfare sought in agreeing the mutual restraint of energy usage. terms of developing the requisite global treaty to restrain energy usage. both that nations’ subsistence energy supplies are affordable and that their compliance with declining allocations of GHG outputs rests on stable incentives. the now-escalating number of cases worldwide such as the Marshall Islands, the salinisation of low-lying islands worldwide, the Inuits , and even the polar bears could all teach us, but simply are illusorily ‘too small’ and ‘too distant’ for most see as signifiicant, to read the implications for us all . Equally it is obvious that the exploited will justifiably revolt increasingly as their means to life is shut down to conserve the false ways of economics, feeding most from this planet to the already monetarily rich… and one is back to senseless destructive wars which prove nothing because men seem incapable of learning from them , and only close the jaws more tightly on us all. The problem is that we are already in a global emergency of unfamiliar massive scale that negates most beliefs of most people [and the beliefs of the governments of most people] , but seemingly very few people who have a voice that anyone hears even glimpse the number of different dimensions to this unholy trap that we made for mankind , all features exquisitely coming together at once to destroy our means to live , principally our food supply from nature, but all factors engineered by mankind’s unwillingness to accept that we could be fundamentally wrong about our familiar way of life, denial even now we know they are unsustainable and thus are ways of death of the many, if not indeed of all mankind. If the will were there to learn then one could use our massive world media to re-educate mankind , but how does one wrest control of it from the few power-mongers who know their (unsustainable) way of life through empty riches (thus their way of death , since the unsustainable must end sometime) depends upon it – if nothing else their very deliberate delaying of allowing even their limited truth (about their monetary scam on the world) to emerge could itself allow the jaws of the grand trap to close upon all mankind. I started warning people of this trap ,that we continue blindly towards ,over twenty years ago and am weary in extreme of being laughed to scorn by most, who think that unsustainability is OK because the problems will not affect them … people do not often see the truth behind their laughter , that this is indeed our problem, and is the most massive intricate situation mankind has ever faced, made worse by the disasters of a decade from now being made inexhorable by today’s inaction , in other words that it is a spring-loaded trap and people mostly won’t respond until the pain hits them, too late by far … the poor see more of the pain already and so see more of the truth of the failure of our normal ways than the blind complacent rich of this world – but the poor are disenfranchised from doing anything about this knowledge until the masses revolt; bravely too there are movements finally to cause such wisdom to come to the fore , but it is part of the trap that they are not allowed much voice by the rich until they become disruptive and their suppression hits the headlines , but how many read the message to all? The whole then is almost too big for the mind of men , and insisting of ‘scientific truths’ before one acts has become another aspect of delay which allows the jaws to close, for ‘science’ too is manipulated for sake of power … only the willfully blind could seriously fail to act on the massive ammount of information that we have already , widely available now through the internet, that our ways are already threatening to make possible decimation or even extinction of mankind into inevitability… that our normal ways are already killing off people worldwide by making life impossible for those who live closer to ‘poverty’ [of our false money values] and who once were able to live on the margins of human life, we are destroying the very people who hold the knowledge which will be in short supply when the last of mankind struggles to survive in the world we are already well into committing to destruction [and still not turning from our normal ways] . The overall problem is spiritual then, whetehr we can admit what we have become and change, or, as is increasingly likely, not feel sorry about what we are until we are dying at our own hands… and maybe it just starts again , but how will anyone know then about why it all went wrong if at least a few don’t survive the already-visible-but-ignored terrible consequences of our inaction now ? recently, there has been some massive flooding in the Philippines and Vietnam which i think is also due to Climate Change. the tropical storms in asia are somewhat getting stronger stronger each year. These crises make each other worse. The edit/update is super helpful in making sense of things, thank you.